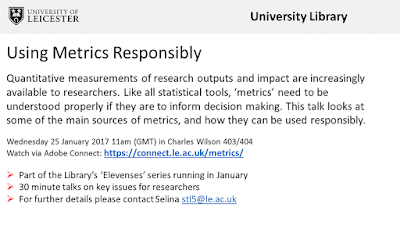 The next Elevenses will be on Using Metrics Responsibly. It will be of interest to anyone involved in research evaluation and impact. 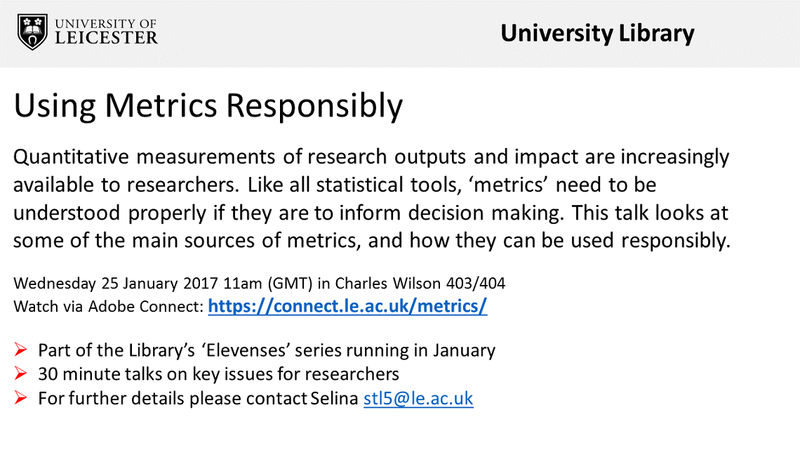 Or those who would like the policy talk around 'metrics' de-mystified. Do join us on Wednesday in the room, or via the webinar. A recording of this talk will be made available on the Graduate School Reading Room blog on Friday 27th.